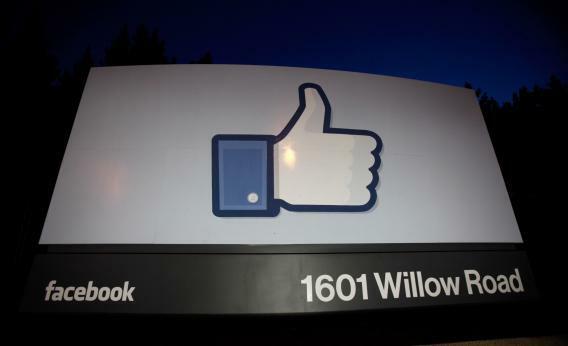 Proposed updates to governing documents: Facebook to end its experiment in democracy. Like it or not, Facebook will soon end its experiment in democracy. Facebook wants to end its three-year experiment in democracy. But first it’s giving you one last chance to weigh in on it. As I write this, the company is emailing every single one of its one billion users. The email is to notify them of proposed updates to its governing documents. Namely, it proposes to revoke a right that it gave its users three years ago: the right to vote on proposed changes like this one. Because it hasn’t revoked that right yet, there is still time for you to mount a campaign to retain it, in theory. But Facebook knows it’s highly unlikely that you will. It turns out that, for all of the shrill cries that fly around the Internet every time Zuckerberg and company make a tweak, most people just don’t care enough to take action. At least, not on the types of changes that Facebook allowed them to vote on. A little background: In the spring of 2009, the company came up with a fairly radical scheme in response to a user backlash over changes to its terms of service earlier that year. From that point on, Facebook pledged that every future proposed change to its governing documents would go through a user comment period. If 7,000 or more users commented on the proposal, it would trigger a site-wide vote. And if 30 percent of all Facebook users voted either “yea” or “nay” on the changes, the company would submit to their will. The catch is that this applied only to changes to the company’s terms of service. Changes to actual features, like facial recognition or couples pages, were never up for referendum. In the time since, two sets of proposed changes have drawn enough comments to be put to a vote. But neither came anywhere close to getting enough votes to decide the issue either way, and the proposals sailed through. The last one, in June of this year, got 342,632 votes in all. That sounds like a lot until you realize that it would have taken close to 300 million votes to block the changes. The sparse turnout, which some blamed on Facebook’s own lack of effort, made the vote something of a public-relations backfire. We deeply value the feedback we receive from you during our comment period. In the past, your substantive feedback has led to changes to the proposals we made. However, we found that the voting mechanism, which is triggered by a specific number of comments, actually resulted in a system that incentivized the quantity of comments over their quality. Therefore, we’re proposing to end the voting component of the process in favor of a system that leads to more meaningful feedback and engagement. That system will include a new “Ask the Chief Privacy Officer” feature and regular webcasts by chief privacy officer Erin Egan to address users’ questions and concerns, according to Shrage’s announcement. The company also hopes it will also result in more substantive comments on proposed changes in the future, now that there’s no incentive to flood Facebook with form-letter comments in a bid to meet the vote threshold. Some Facebook watchers are already criticizing the proposed change. TechCrunch’s Josh Constine wishes the company would fix the system by raising the numerical threshold for triggering a vote, and then perhaps replacing the site-wide vote with a randomly sampled “deliberative panel.” That’s a pleasant idea, but let’s face it: No multinational corporation with a $52 billion market cap wants to take the risk of giving binding decision-making power on key issues to a bunch of outsiders. Besides, Facebook already has a deliberative panel in place. It’s called a board of directors. So go ahead and comment on the end of Facebook democracy if you like, and perhaps you’ll get a chance to vote on it (though that’s not entirely clear from Schrage’s announcement). The site is accepting comments here until noon eastern time on November 28. It would be fascinating to see what would happen if, by some almost unfathomable chance, 300 million people actually did take the time to try to reclaim their Facebook voting rights. But since that probably won’t happen, you can comfort yourself with the knowledge that Facebook at least cared about its users’ opinions enough to have tried this in the first place. And remember that, while the company may no longer be a democracy, neither is it a totalitarian state. So if Facebook ever does make a change so drastic that you can’t stomach it, you can always vote with your feet.